In a groundbreaking decision seeking “balance” between conflicting interests, the state Supreme Court ruled today that the assignment judge for the Morris County area should decide whether a reputed organized crime associate financially qualifies for representation by a public defender. 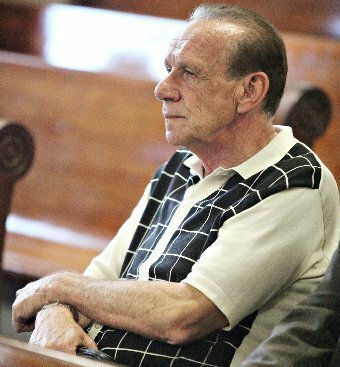 In the Morris case, the state Attorney General’s Office had sought subpoenas to obtain financial records submitted by Alfonso Cataldo, 71, of Florham Park, arguing that he may have “fraudulently represented his assets to obtain public defender representation,” the court wrote. Cataldo is accused, along with 33 co-defendants, of taking part in an international, $2.2 billion gambling and money laundering operation allegedly operated by the Lucchese crime family in 2007. A 2010 indictment accuses him of charges including racketeering, gambling and conspiracy to commit money laundering. Cataldo was determined to be indigent and was given the services of a public defender after staff members in the criminal division at the Superior Court in Morristown reviewed financial forms he submitted. The Attorney General’s Office was denied a subpoena for Cataldo’s “intake form” by a Superior Court judge and an appeals court panel, who both ruled that release of the records would violate attorney-client privilege. Deputy Attorney General Mark Eliades had submitted affidavits listing Cataldo’s assets when he was charged in 2010, including a $659,600 house in Florham Park co-owned with his wife, Lorraine, for which he was paying off a $160,000 mortgage and a $100,000 home equity line; a $750,000 mortgage on a property in Readington and another home in Florham Park owned by his wife that was assessed at $484,300, the court said. The prosecution also presented a car lease agreement in which Cataldo said he worked as a contractor for Cataldo Construction and his monthly income was $10,500, the court wrote. Thus, the court concluded, as a matter of “balance,” it would refer the question of determining Cataldo’s indigence to the assignment judge, in this case Thomas Weisenbeck of the Morris-Sussex vicinage, for review. The court also ordered the director of the Administrative Office of the Courts to modify current procedures. The directive for public defender representation should be changed so that prosecutors may obtain defendant’s financial forms in “appropriate” cases, the court said. The intake form must be revised to “warn” defendants that at the direction of the assignment judge, the defendant’s statements about financial status “can be disclosed to the grand jury and a prosecutor,” the court wrote. Attorney General Jeffrey Chiesa's office "welcomes" the decision, spokesman Leland Moore said. The ruling "recognizes that the current process for determining indigence hinders the state in prosecuting individuals who submit false financial information to obtain public defender services, and puts modifications in place to address that concern," Moore said. He hailed the court's order for a "remand" hearing by the assignment judge to determine whether Cataldo qualifies for a public defender. "That was our chief concern -- protecting the public assets from fraud," Moore said. Cataldo and his attorney, public defender John McMahon, were unavailable for comment.